Baby & Toddler Mini Portrait Sessions – Mini Prices! Mini sessions are a fantastic way to maximize the happy time and minimize both drama and cost. 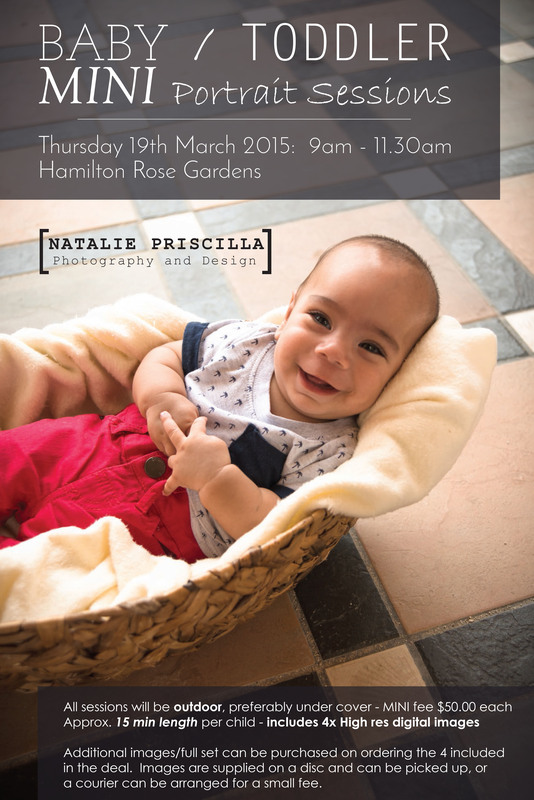 We’re running Baby and Toddler mini sessions this time, this coming Thursday morning (all going to plan). Contact us to secure your place – bookings are essential – and we can’t wait to meet you! Cost – $50.00 for the session plus 4x high res digital files on disc. Legal parent/guardian must sign a model release. Cash on the day or online transaction prior to the photo shoot is required, proof of purchase must be available if requested.